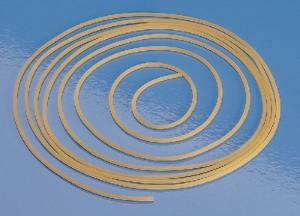 This tubing can be mandrel coated or have a smooth finish. The mandrel-coated tubing has a 40 +/-5 (Shore A) Durometer. The smooth finish has a 45 +/-5 (Shore A) Durometer.